In 1912 at the young age of 24, Arturo Fuente founded A. Fuente & Company in West Tampa, Florida. At the time, all the cigars were handmade with Cuban tobacco. Years later, after the 1962 Cuban embargo affected production, the company sought after the Habano flavors their American customers had become accustomed to. The Fuente family invested all of their money and moved to the Dominican Republic where they embarked on their new business venture. Their goal was to approximate growing Cuban style tobaccos. It was not long before the family would again prosper in the cigar industry. Today, A.Fuente & Company continues to operate their own fields and produce the finest tobacco at the family owned Chateau de la Fuente in Bonao, Dominican Republic. 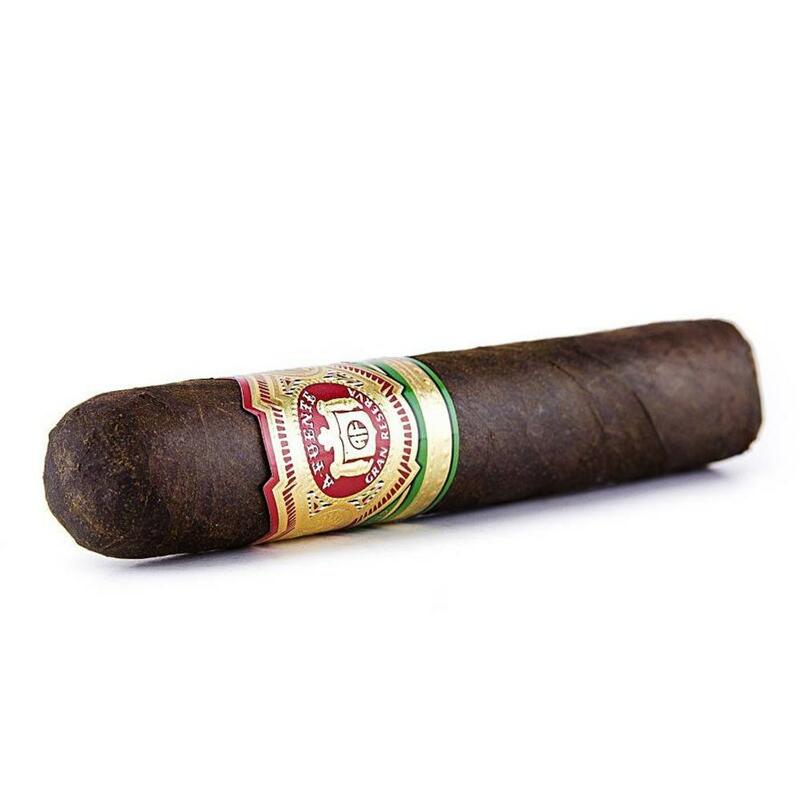 Perhaps the reason Arturo Fuente cigars are the number one selling brand in the United States is because of the company’s flagship line; the Gran Reserva. The craftsmanship of the Gran Reserva Rothschild Maduro is impeccable. It starts with meticulously selected Dominican tobaccos from the Fuente estate hand rolled in a rich Connecticut Broadleaf wrapper. The outcome of the marriage is a handsome cigar with superior complex flavors. The body is medium to full and has rich aromas of dark chocolate and coffee with an earthy balance. Beginners and experienced connoisseurs alike can enjoy the rich aromas of the Gran Reserva cigar. The Gran Reserva Rothschild Maduro is a splendid compliment to your morning coffee. If you prefer a late in the day smoke, a dry full bodied red such as a French Bordeaux makes an exquisite pairing.